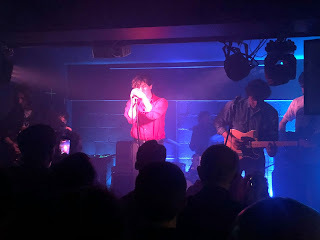 Neon Waltz brought their tour in support of new single Friends Who Lost Control to the basement of Manchester's Yes on Sunday night with a mix of tracks from their debut album Strange Hymns as well as a number of new tracks. Support came from Leeds' Household Dogs. Household Dogs have an edge to them. Front man Declan's opening words include some expletive that we don't quite catch and they've got an attitude to them like when he tells us to move forward because he doesn't bite, but he might spit and when he mentions merch at the back, he says they won't sell them because they're musicians not salesmen. This is all well and good if they have the tunes to back it up and fortunately they do. Previous singles Is This All and Fallen Yet were statements of intent that are equally confident and assured live and with the likes of Ain't No Heaven showing that they can mix their sound up as well, they make a very good first impression on a Manchester crowd that doesn't really respond to them other than at the end of the songs. 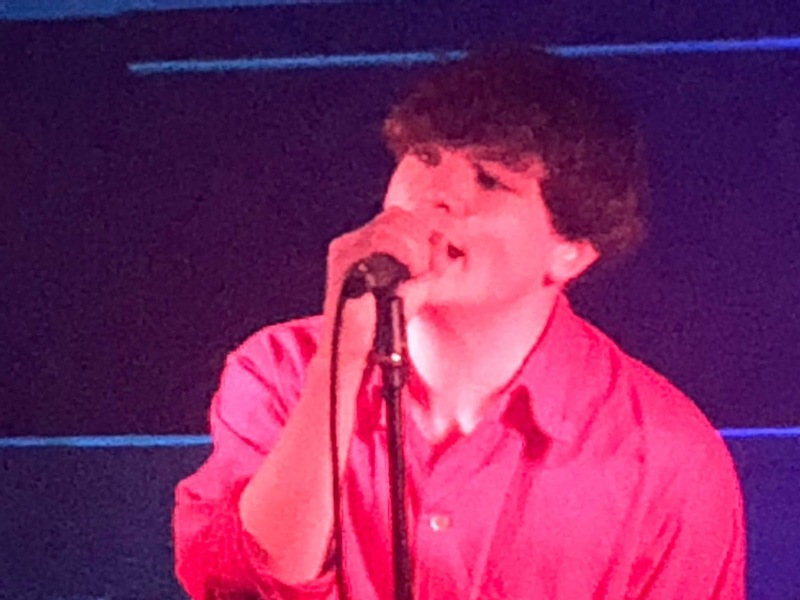 Declan takes this into his own hands on Lonely Lover, the last track of their set and their recent single, by coming out, swerving around people and finishing the set on a chair by the sound desk, head almost hitting the ceiling. There's something not quite right in the fact that Neon Waltz are still playing venues of this size. Their debut album Strange Hymns contained some of the finest most uplifting anthems of the past few years - Heavy Heartless, Dreamers, Perfect Frame, Sundial and Bring Me To Light - all of which are naturally present and correct here, but the fact that they're so unassuming in the way they go about their business probably counts to their detriment. Schoolhouse, from the Bring Me To Light EP that followed the album and I Fall Asleep, are both achingly resonant in their tone and lyrical content and you can sense the emotion in Jordan's voice as he delivers them. Recent singles Stranger Things and Friends Who Lost Control show them branching out, emboldening their sound and turning more extrovert, whilst another new song, Black Boys On Mopeds sees them turn political and social commentators as they decry the breakdown of society and the chorus speaks of the way black youths are shot by police without anyone blinking an eyelid. It's a progression of their sound rather than a revolution, but if they're indicative of the new material they've said they have a lot of, it'll help crystallize their growth into something tangible. Even in such a cramped space and with a sound system that feels a bit too powerful for the claustrophobic confined space of the basement, they find the room for all six of them to make their mark, and Jordan's vocals feel even more atuned to the messages in the songs than they've ever done, and there's a richness and depth that adds gravitas to the lyrics of the likes of Heavy Heartless and Dreamers in particular. Neon Waltz don't do anything for show, there's no wacky behaviour, leery shirts or fake see-through exclamations to the crowd, they just get on with it and let their music do the talking which it emphatically does. We leave though sensing that they're starting to open themselves up without compromising the core of what they are and what they believe the band should be. But for now we'll take the privilege of seeing them in such intimate surroundings while we still can. Neon Waltz's official website can be found here and they are on Twitter and Facebook. Our recent interview with them can be found here. 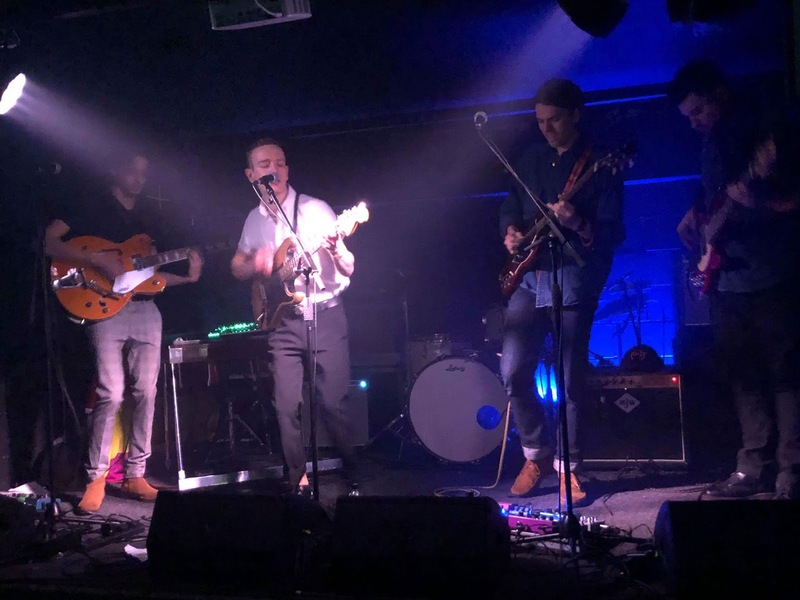 Their tour calls at Birmingham Hare And Hounds (March 25), Leeds Headrow House (26), Newcastle Northumbria Institute 2 (27), Edinburgh Mash House (28) and Glasgow Saint Luke's Church (29). Household Dogs are on Facebook and Twitter.